Our Best Selling Drum Kit! 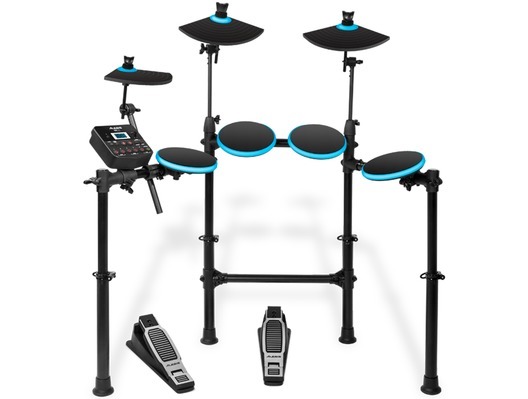 Introducing the Alesis DM Pro Drums Lite Kit, the electronic drum kit for beginners and experienced drummers that lets you play, practice and learn on a professional standard electronic drumkit. 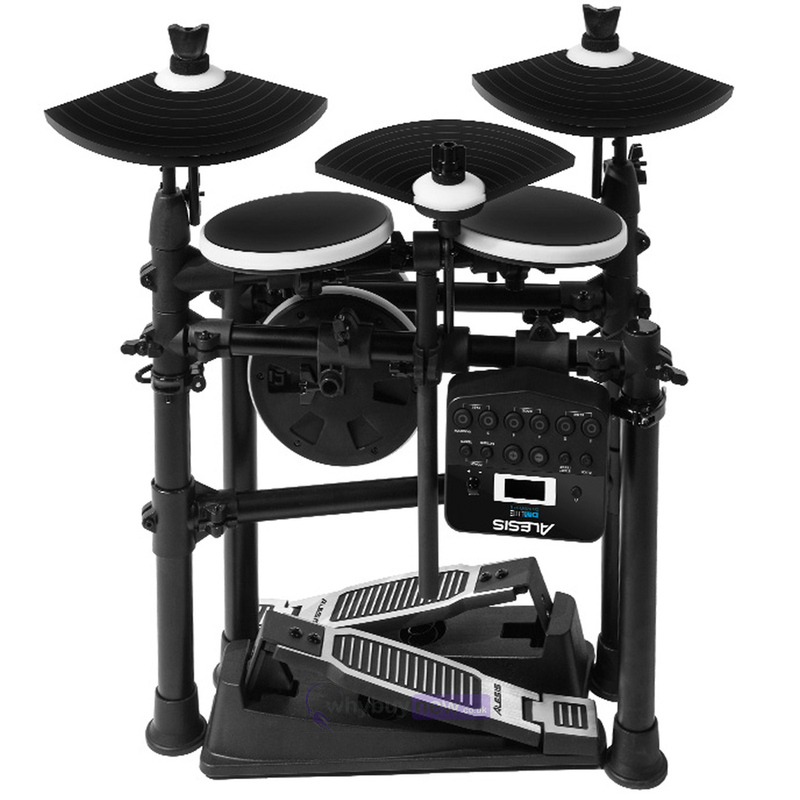 Pro Drums Lite kit features light-up LED drum pads which are attached to a strong, lightweight and foldable rack which is completely height adjustable. 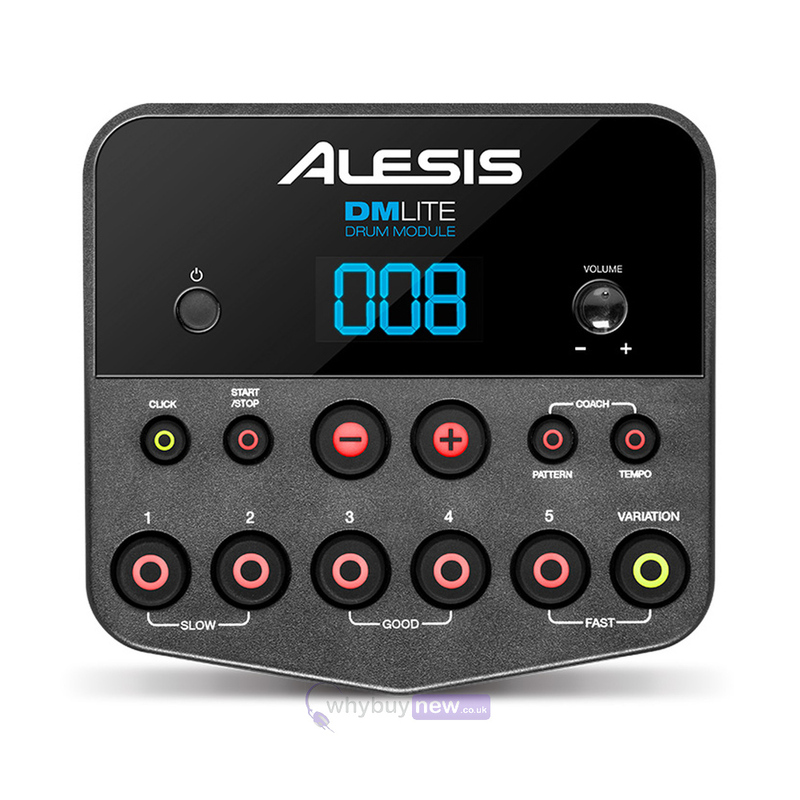 The included drum module, which has been custom-designed for the kit, includes a plethora of premium quality sounds as well as play-along and learning modes. In addition to the low-noise dynamic Piezo kick drum pedal trigger, thePro Drums Lite Kit features ultra-quiet, responsive rubber drum and cymbal pads with light-up blue LED's that illuminate when a pad isstruck. 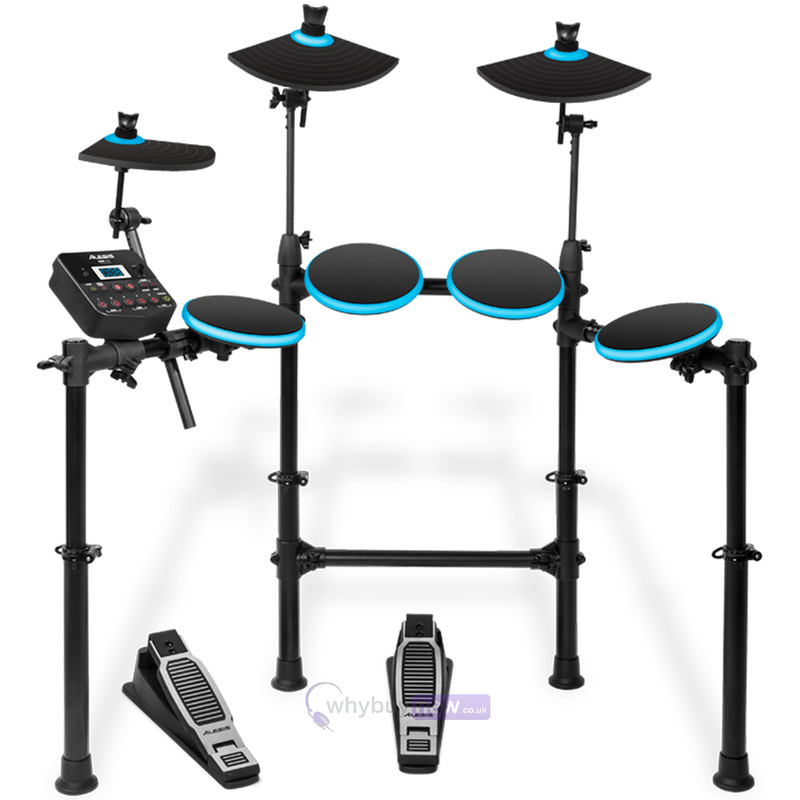 An ideal choice for beginning drummers and seasoned drummers alike, the Pro Drums Lite balances drum education with pure fun.In "Learning Mode" pads and cymbals light up and show patterns for the player to follow, improving their skills and timing. For portability,space saving, and storage, the drumset collapses to a small size, all while staying completely assembled. The Pro Drums Lite Kit delivers great sounds, improves skills and technique, and puts on a mini light show in the process - it's a blast! Please note that the drum stool may vary from the photo. 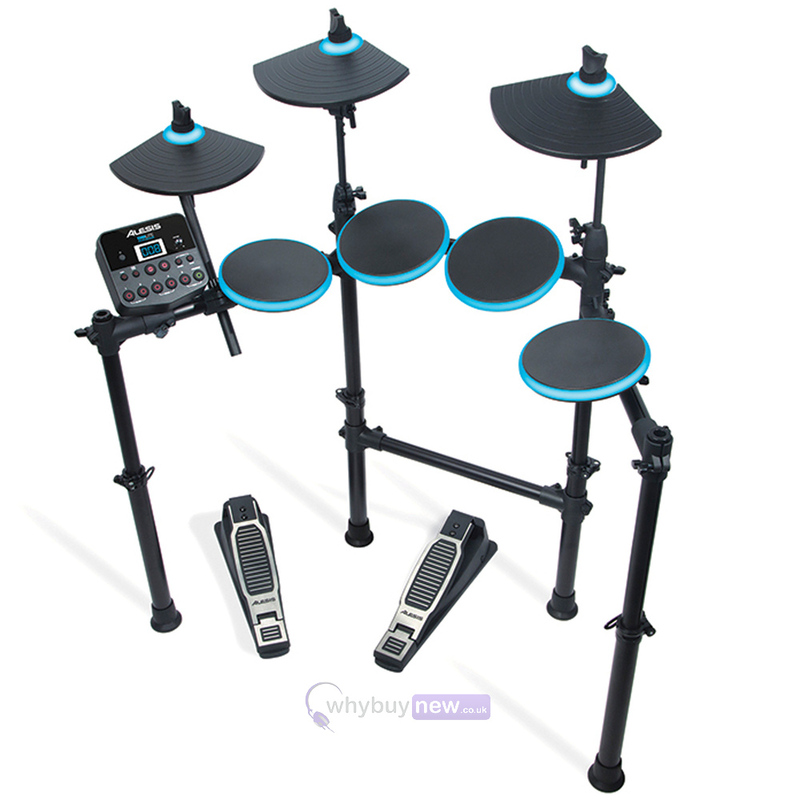 Here we have the Alesis DM Lite Electronic Drum Kit in brand new condition and in B-Stock. The B-Stock versions would have been on display at a training evening or trade exhibition only and will come boxed 'as new' with all accessories and a 1-year warranty. DM Lite Module with 200 drum and cymbal sounds in 10 ready-to-go drum kits and "Learning Mode"